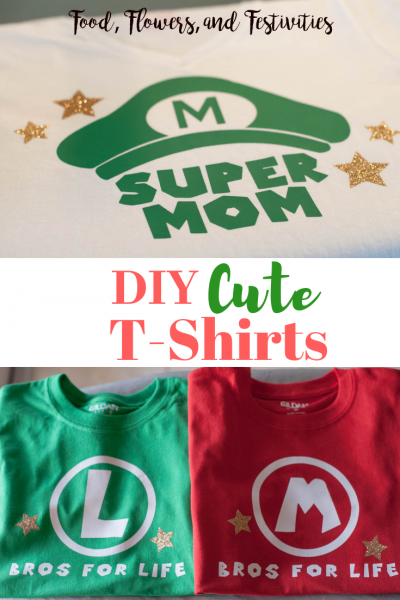 To create these shirts, we bought inexpensive plain t-shirts and then embellished them with Cricut iron-on. I’m in love with this glittery gold Cricut iron-on! Cricut has an array of gorgeous glitter iron-on paper in all kinds of colors you can see here. I can’t wait to make some more glittery glitzy shirts! 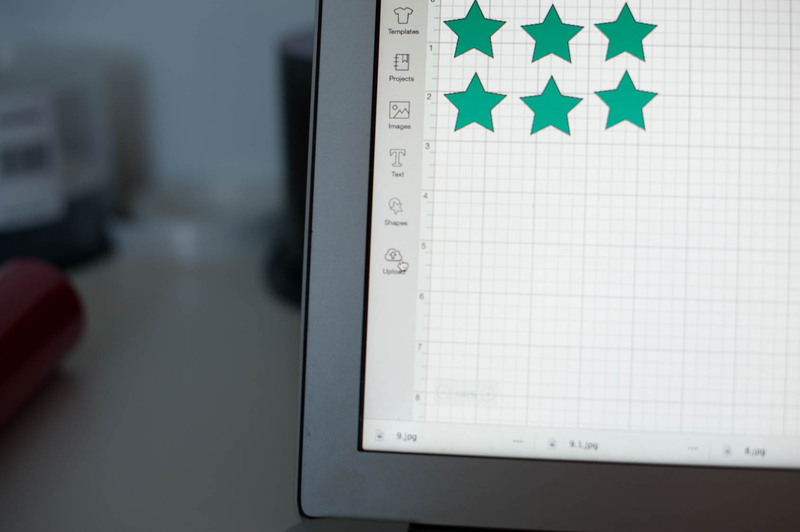 Start in your Cricut Design Space, click on Images on the left, and then search for star images. 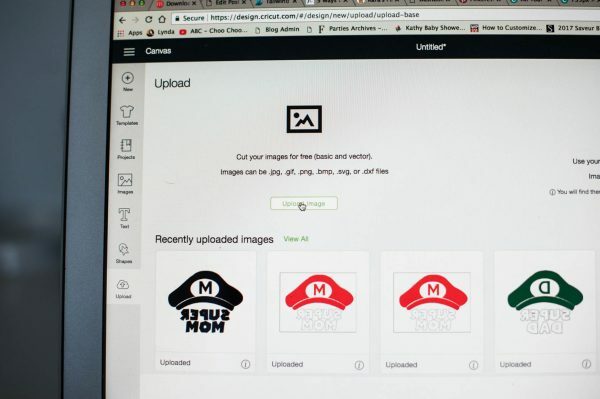 Once you find a star image that suits your shirt, click on it to add it to your Design Space. 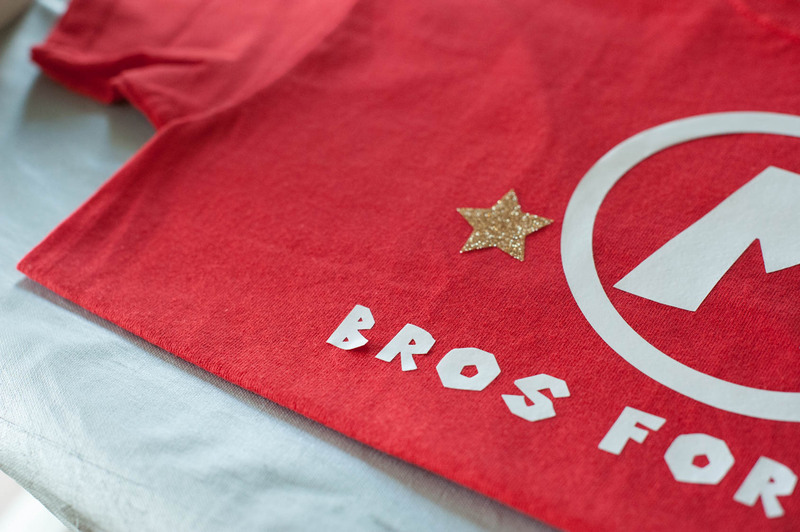 I made smaller stars for the boys’ shirts and larger stars for the adult shirts. 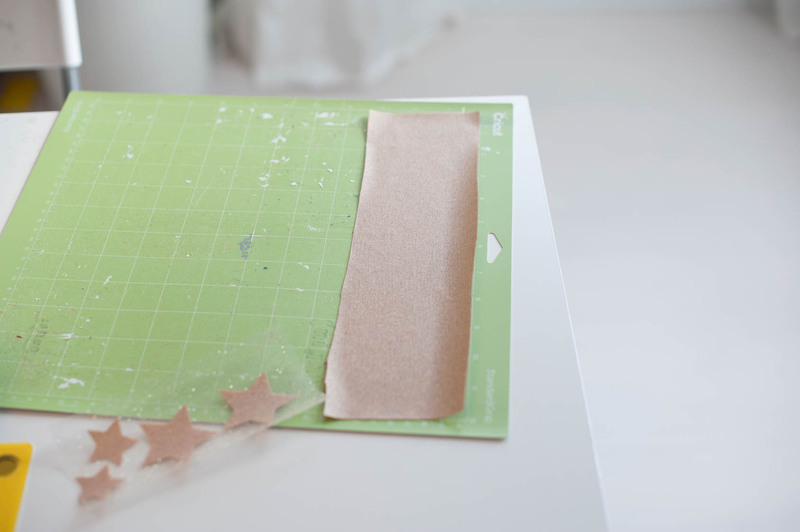 Place your Cricut iron-on with the plastic peel down. Use the Design Space dimensions above to determine how much iron-on you’ll need on your mat. 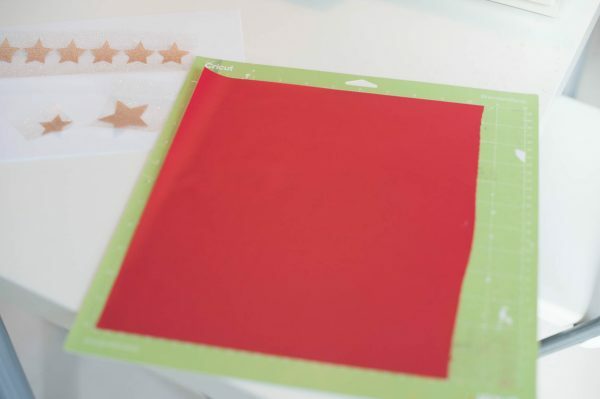 After your cut, peel off the excess iron-on around the stars. To make the image for the boys’ shirts, we went online to search for the Mario font. I found a free download for a font called Pipe Dream and installed it on my computer. 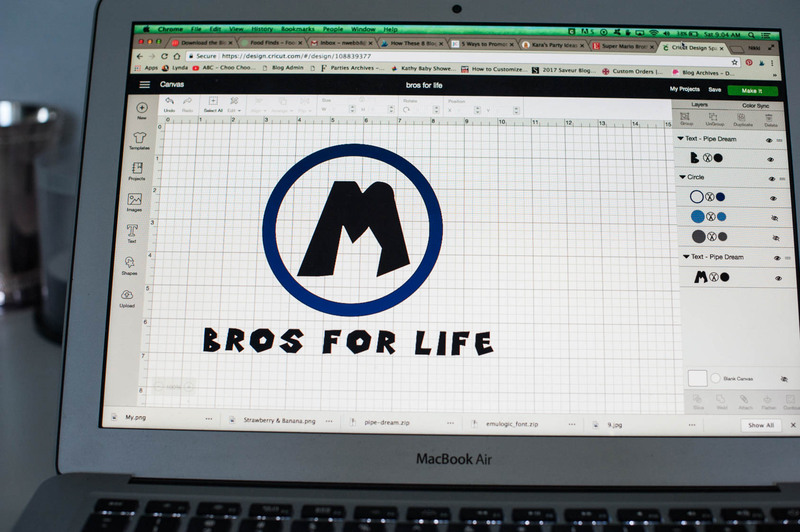 Once the font is installed on your computer, you can simply click on text on the left bar and add bros for life with the pipe dream font under system fonts. 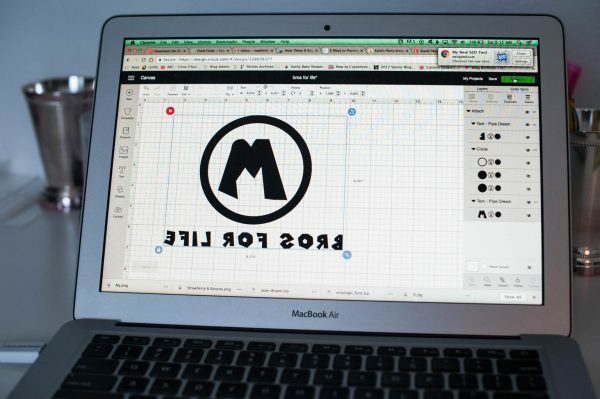 Now you can click on Images to find a hollow circle to go around the big M. Once I made the circle the size I wanted it to be, we placed a large M inside the circle in the same pipe dream font. One very important step for any t-shirt is to make sure that you flip the design horizontally. After you see the word flip on the top menu, click to flip it horizontally. Make sure that you select all on the top menu and then attach on the bottom right. 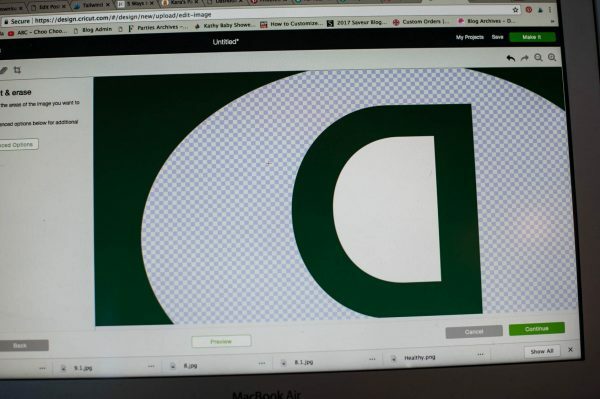 This will ensure that you cut this image without Cricut Design Space moving your fonts or images. 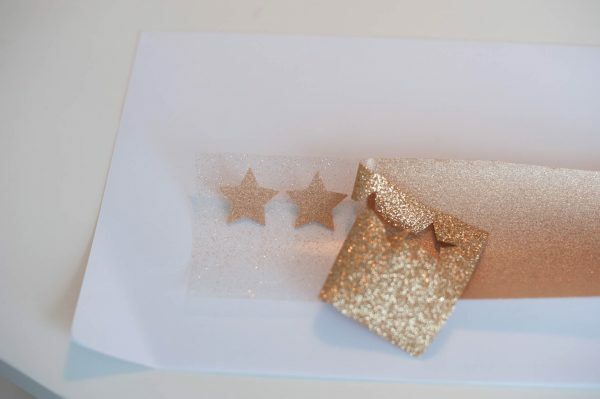 I cut this entire image out with the white Cricut iron-on and then later added my glittery gold stars. It’s time to iron-on your design! 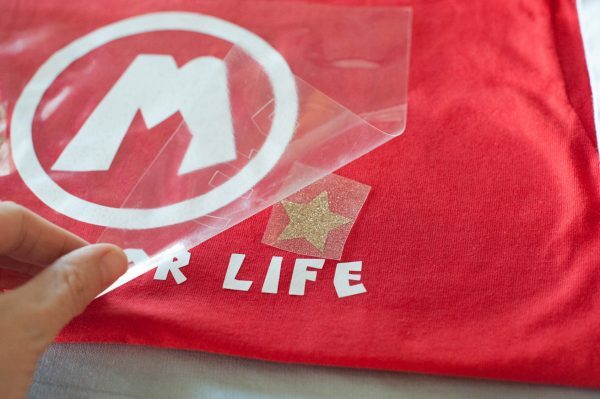 Loosely tack on your design to your shirt by ironing on with the plastic. 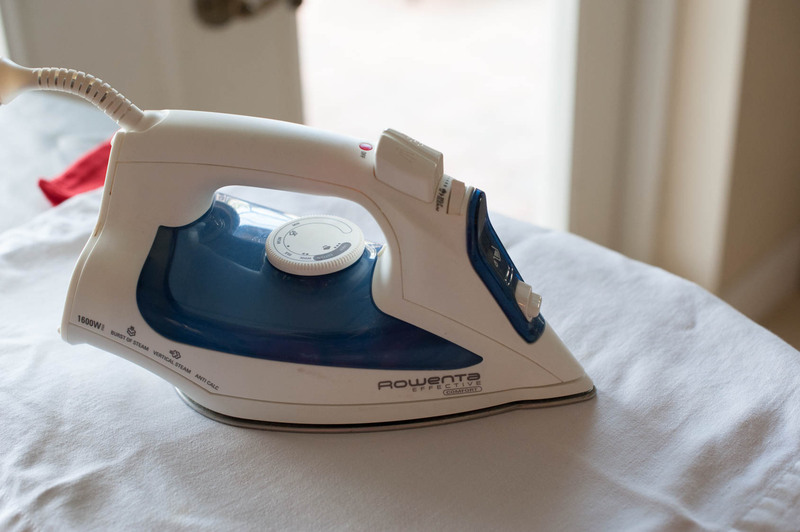 If you’re worried about putting the iron directly on the plastic, place a thin cloth on top of the plastic and then iron. 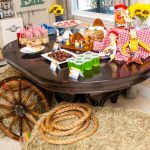 For these shirts I used an iron which worked well for these one time use shirts for the party (be sure to be very diligent by ironing each portion). If you plan on using the shirts over and over again with multiple washings I would suggest making them with a Cricut Easy Press. Iron this image until the white stays on the shirt when you peel it back. Remove all of the plastic. If some of the letters are not completely attached like the B on this shirt, don’t sweat it. 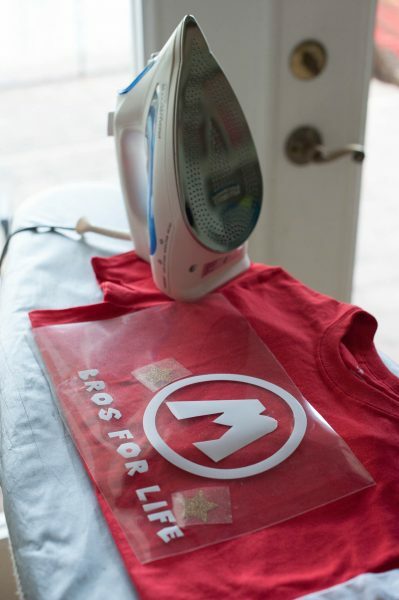 You will iron the shirt again to properly attach all of the letters and images. Place a thin napkin or towel on top of the image on the shirt, and hold the iron on each section to make sure that the images have properly adhered. 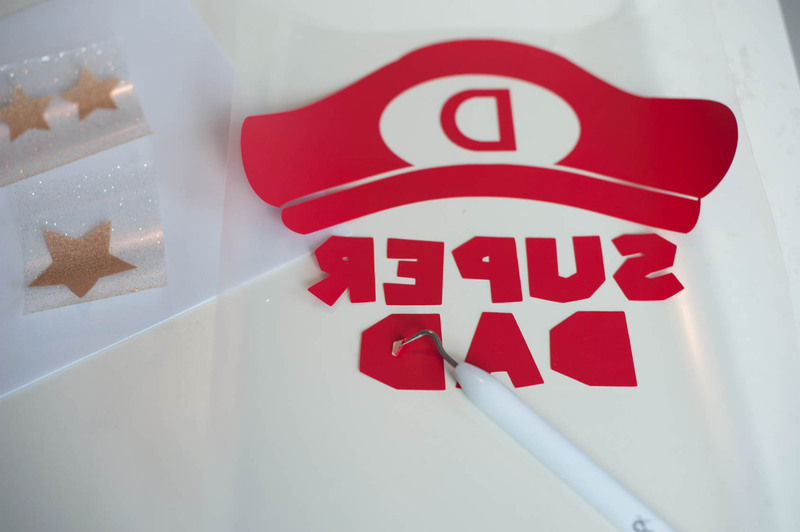 You can also iron the back to ensure you have proper adhesion. 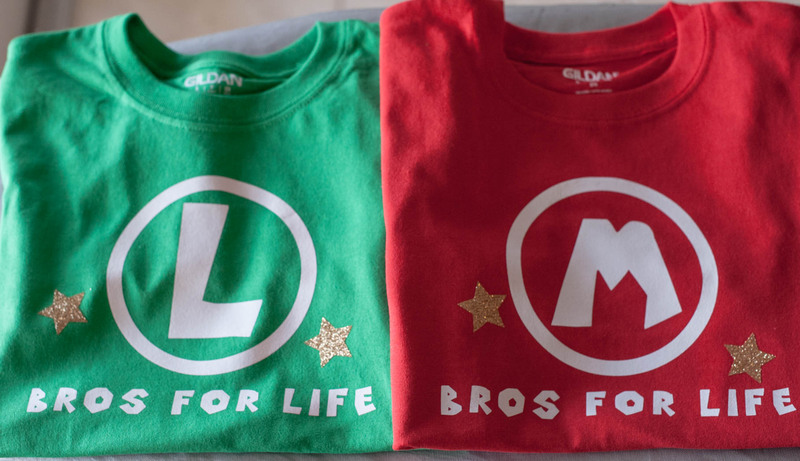 Now the boys’ shirts are done! On to the parents’ shirts. 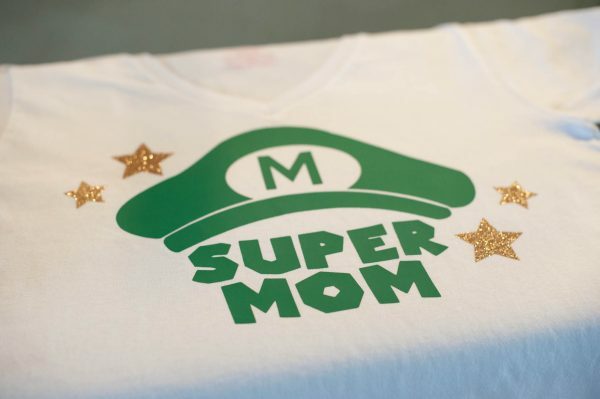 I found the fitting super mom and super dad image on Etsy here. 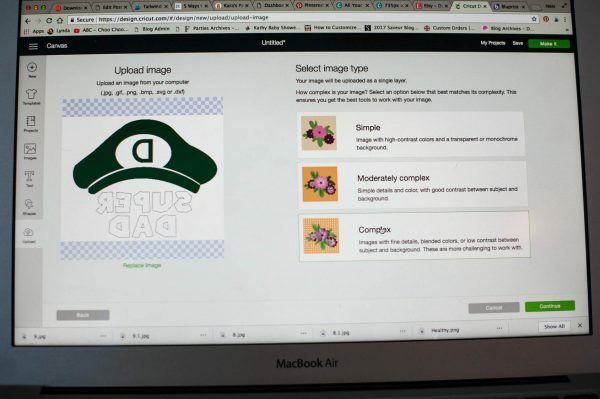 I downloaded the image and then uploaded the image in Cricut Design Space. We usually select that the image is complex just to make sure that I get all the details in the image. Then click continue. 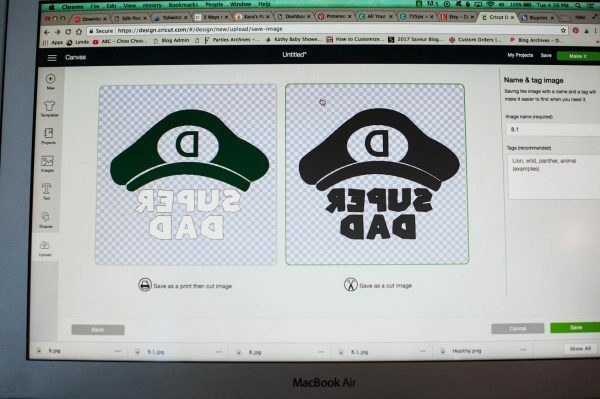 You will want to make sure that areas like the inside of the D have the checkerboard pattern. This ensures that the inside of the D is cut. Go through your image to make sure any of these areas you want cut have this checkerboard pattern. We had to click on the inside of the D and we also need to click the inside of the A.
Click on save as a cut image and then you’ll be ready to start cutting! 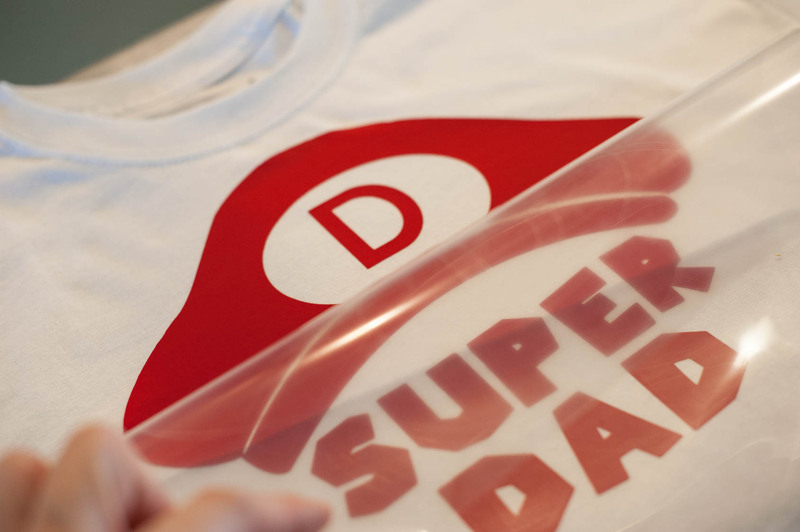 Now you can use the same steps above for the kids’ shirts to finish the super dad and mom t-shirts. 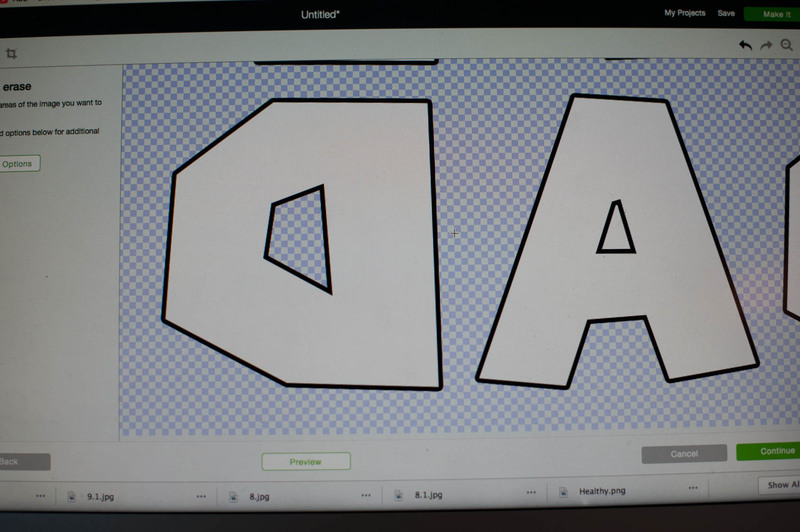 Take off the extra iron-on around your letters. Use your Cricut weeding tool to remove the inside of the letters. We made Mario shirts, but think of all the possibilities you could make when you can upload images into Cricut Design Space! 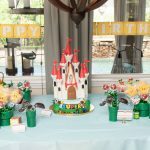 I learned how to make this Cricut project along with other projects on Craftsy’s Cricut Party Perfection here. 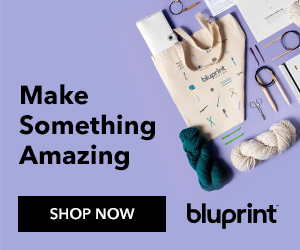 I strongly suggest this class if you love DIY projects that you can make on Cricut! I have always wanted to do this! I bought a Cricut a while back and have never used it because I don’t know how. 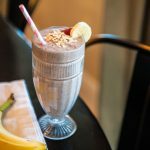 This post might give me the jumpstart I need to get started. Thanks Mallory! 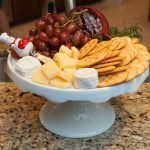 I have several ideas for your Cricut under festivities and party crafts. 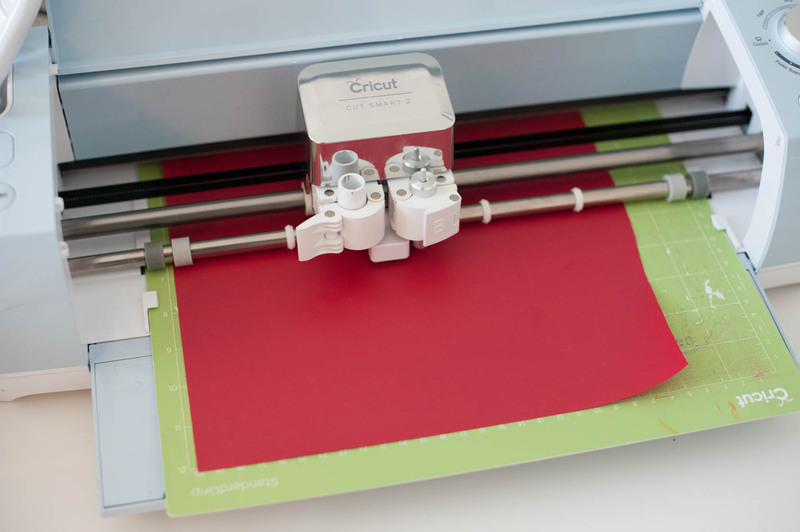 You’re going to love using your Cricut once you start using it! This would be so handy at Halloween time! I’m totally going to remember this! Thanks Karin! The shirts are really fun to make! 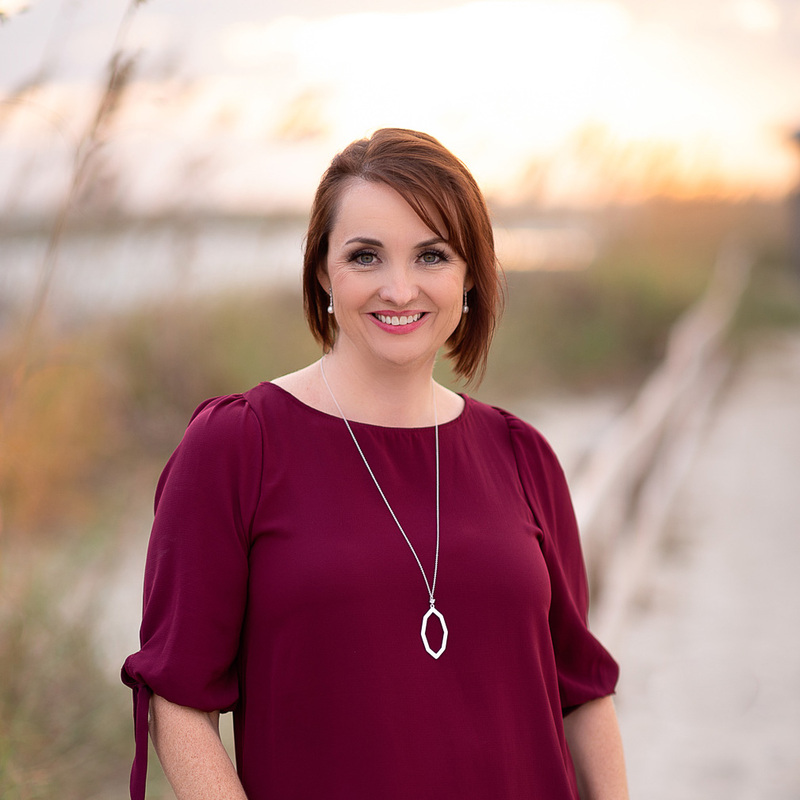 This is such a fun way to truly design your own fashion! Thanks Amanda! 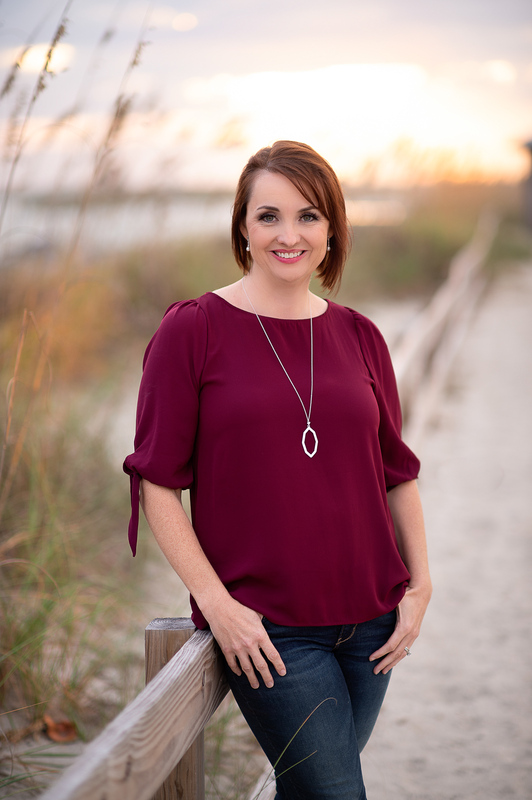 I have had a lot of fun making personalized shirts! 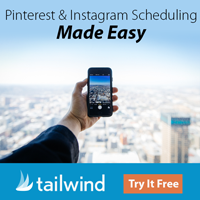 This is so cool and I love how you’ve shown your design process. Thanks so much Helen! I really enjoy designing the shirts. That is seriously so cool!! I’m not super crafty so having step by step instructions helps a ton! Thanks so much Katrina! The shirts are very gratifying to make and are also easy!